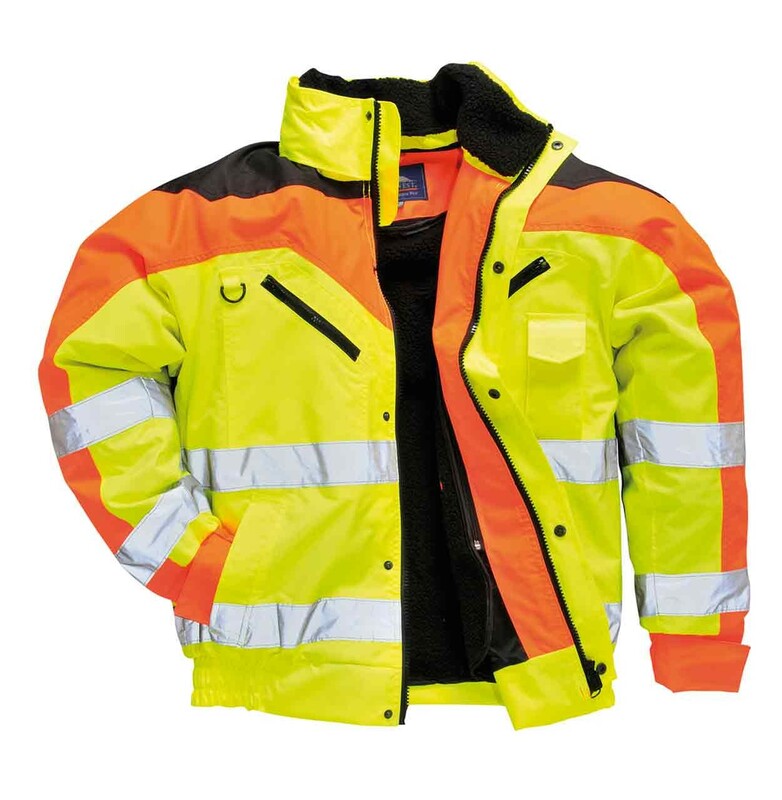 Be seen in all conditions with this new innovative concept in Hi-Vis bomber jackets. 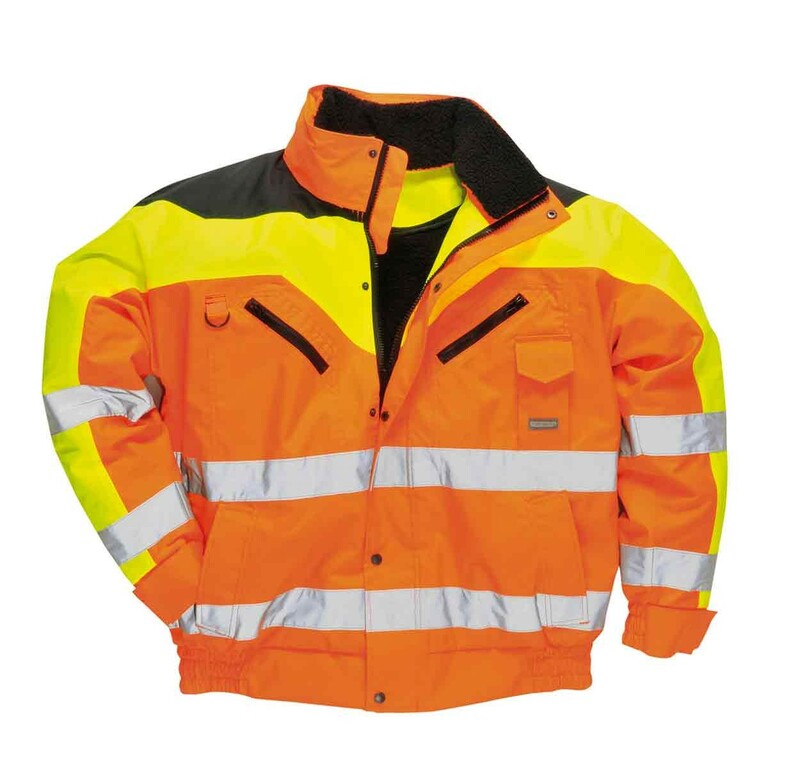 This garment sports a zip out fur lining detachable fur collar concealed hood security pocket and zip front. All seams are taped. Detachable collar & concealed hood. Features: Detachable collar & concealed hood, Detachable fur lining, Two way front zip, Smart phone compatible pocket. Fabric: 100% Polyester, 300D Oxford weave with a Stain Resistant Finish, PU Coated 190g. Lining: Body: 100% Polyester 60g, Fur: 100% Polyester fur 365g, Sleeve: 100% Polyester 60g. EN ISO 20471 Class 3; EN343 Class 3:1.